This op–ed in the Fairfax Press smacks of typical yellow peril journalism that has come to typify what passes for some media coverage of late. Yes, some Chinese drivers are awful in their home country and they will bring those bad habits here. But I’d be interested to get some hard stats. For instance, Chris Roberts, CEO of the Tourism Industry Association, tells us that 5 per cent of accidents are caused by tourists, and 3 per cent of fatalities are caused by them. That has been the case for years. The only difference is the mix of tourists. We were never that concerned when Aussies, Brits and continental Europeans were causing that 3 per cent. All of a sudden, we are concerned when Chinese tourists are causing part of that 3 per cent. Roberts also notes that Australian tourists are the worst culprits when it comes to accidents here—no surprise, since more Aussies travel here. In the last three years, 240 were killed on our roads by drunk drivers. None were killed by a drunk visitor. So what a shame when a writer cannot uncover some basic facts and advocates ‘benevolent racism’, citing a book written by an American about Chinese drivers in China in support. I wouldn’t have a problem if we were up in arms in earlier years about all the accidents caused by tourists, and the media, especially talkback radio, were filled with calls to make sure the many Aussies and Brits were tested before they got behind the wheel of a rental car here. But to devote so much time and column inches now smacks of hypocrisy. There’s a difference between the everyday Chinese driver in China and a more educated tourist who has the means and smarts to go abroad—just as there is between an everyday Kiwi driver in New Zealand and those of us who opt to drive and travel in countries where they drive on the other side of the road. I’d be surprised if you told me you were as relaxed as you normally are in New Zealand when you drive abroad. I have done my own study on this—a tiny sample to be sure—where the incidents of bad driving in this country are—surprise, surprise—exactly in proportion to the racial mix. It is always troubling when we buy into a stereotype. You can easily argue that we drive more kilometres over a year in our country than a tourist might over a small period of time. However, I understand from my friend Nadine Isler, whose father is the expert in this area, that even when you factor this in, we Kiwis still fare poorly. The xenophobia, then, that I see in our country is disturbing, especially when it relates to the yellow peril. His solution, which also appeared on Fairfax’s Stuff website, has merit, but, of course, it forces us to take a long, hard look at ourselves—something we’re not happy doing when there is an easily identified group to blame. And blame, and blame. As I said in an earlier status update on Facebook: if we want to target the driving habits of tourists (and it is not a bad idea), then let’s get the 95 per cent of trouble-makers—Kiwis on Kiwi roads, and predominantly white—up to speed as well. If we are going to do any profiling of who the dangerous drivers are on our roads, it’s not Chinese tourists we should be concerned about. This week it’s the Sports Illustrated Swimsuit models; what’s next for our destination marketing? In Lucire’s publication history, more Americans than New Zealanders have read from the title. Online, that was always the case, as we started off in 1997 with a 70 per cent US readership, which has dropped to around 42 per cent with other countries catching up with web browsing over the last 16 years. Who knew, then, that Kiwis would come en masse over the last day and a bit to have a gander at our behind-the-scenes story on Air New Zealand’s next safety video? And all it took were five swimwear models from the Sports Illustrated Swimsuit Issue. None of whom are actually New Zealanders (four American, one Australian), though former Miss South Pacific Joyana Meyer, who is based locally, does make an appearance. I can see the irony: Kiwis browsing a Kiwi site reading about a Kiwi airline. Yes, it is strange, considering we are quite happy reading Australian newspapers and German magazines. We are proud, however, of our national carrier. I can also see the second irony, in that the video itself has foreigners in the main roles. However, 70 million SI readers now alerted to the Cook Islands, New Zealand and Air New Zealand without reliance on ‘Who Shot J. R. R.?’ marks a new change, and that might not be a bad thing for the maturing of tourist marketing. I know, we are falling back on babes and beaches, but I’ve never been convinced about the 100 Per Cent Pure campaign. While Sir Peter Jackson put us on the map thanks to his own love of our nation, I wonder if there may be fatigue in the association. What is the life cycle of such campaigns, typically? I could be completely wrong on both but it was a dozen years since I was in Scandinavia talking to excited Swedes about our country in the wake of the first Lord of the Rings film. Post-Conchords maybe it is time to show another side of us. You know I will keep championing Kiwi creativity and intellectual capital because I still believe these set us apart. Sports Illustrated doesn’t express that, but the fact that our national carrier is happy to co-brand with an iconic US title at least puts us on an internationally recognizable level. And it shows some decent, globally minded lateral thinking on behalf of the brand managers at Air New Zealand. I’m also encouraged that Air New Zealand’s new CEO, Christopher Luxon, is a brand guy with MNC experience because he’ll understand the need for differentiation on a global stage. It’s a stepping stone that we can take advantage of. The question to engage our brains next are: how else can we get our best brands out there? Are there more collaborations that are possible? Or are there ways we can find leverage to go it alone? 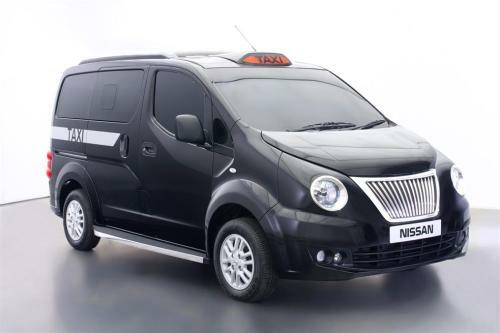 Part of me admires Nissan for going after the taxi market in a big way in New York and London. Another part of me wonders why on earth the London Hackney Carriage solution is so ugly. I think Nissan should have asked Mr Mitsuoka for advice on how to Anglicize one of its products. Overall, I haven’t a big problem about a van being a black cab (neither does Mercedes-Benz). We live in the 21st century, and a one-and-a-half-box design makes practical sense. The recent Metrocab, from Frazer-Nash (whose owners are domiciled abroad), doesn’t look perfect, either, but the effect is a bit more cohesive. However, it reminds me a bit of the Chevrolet Spin. I’m not sure how conservative a buyer the cabbie is. The LTI TX4 still looks the best, and it is even being adopted in Australia, but it’s not as economical. The idea of the solid axle and Panhard rod at the back doesn’t scream modernity, either. The world is so globalized that no one bats an eyelid when they see a Volvo badge on a double-decker bus. It’s not that easy to find a police car with a British marque. There’s a nostalgic part of me that wants to argue that the London city brand will be adversely affected by Johnny Foreigner making its cabs, but it won’t. 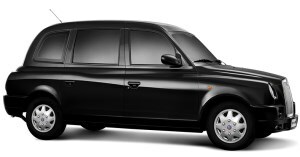 Even the one regarded as traditionally the “most British”, the TX4, is made by a Chinese-owned company, Geely. History says that it won’t matter. As long as they are black, they can turn on a sixpence, and the cabbie has the Knowledge, then that’ll be sufficient for most. The experience of travelling, rather than the Carriage’s brand, is what tourists will remember—I can’t tell you whether the first black cab I sat in was an FX4 or a TX, but I can tell you about the conversation I had with the cabbie. One would, however, remember a bad journey—let’s say travelling in the back of a Premier Padmini in Mumbai is not as misty-eyed as it seems. And if one insists on a decent British solution, then it needs to be better than the competition: falling back on tradition (or at least some parody thereof) helped kill Rover when it was still around. Although I’m not sure if there are any British-owned taxi makers left. Whatever the case, the next generation of black cab will be made by a foreign-owned company, and I’m willing to bet that the 20th-century formula is toast. I felt that the project fitted in with our city’s image. I was drawn to the idea of royalty incomes for a New Zealand business, which would have showed that Kiwi ingenuity and intellectual property could be exported in a frictionless fashion. There was also a concern that we could not attract international conventions here, even in the late 2000s, and this complex could have solved it. I had been to enough conventions and conferences overseas to have seen first-hand the sort of numbers involved—and how we needed something ourselves. It was to preempt similar moves by other cities, long before the Sky City deal was announced. I know there are issues with this—including whether residents would want a complex there, and there would be a great need to consult with the public first. Nonetheless, it was worth raising it, and I’m grateful that it received a tiny bit of coverage, so you know I’m not engaging in revisionism today. With hindsight, it would have respected the memorandum issued by WCC in the 1990s that a casino was not desirable for our city. I note that at the mayoral debate for the hospitality sector in 2010, opinions on a casino were divided roughly 50–50. The Dominion Post is covering this topic today, and it highlights to me that this city has been caught on the back foot again. Wellington still strikes me as a more desirable location, with Auckland and Queenstown, for instance, a stone’s throw via an air link. It’s the same with our airport. We have an opportunity to put ourselves on the map in the next few years, while Christchurch is still rebuilding, because they will come to threaten Wellington’s position as an innovative hub within the next decade. More importantly, we need to be positioning ourselves to a global audience, something that 20th-century political thinking still prevents us from doing. Tomorrow, it will be one month since the Christchurch ’quake. It’s tempting to argue scale—the Japanese earthquake and tsunami versus our own—but at the end of the day, people are people, and our nations have both been hurting. We have become united, through disasters that emphasized that we live in an emerging global community. I’m glad that our government saw ﬁt to send some of our rescue personnel over to help with the Japanese recovery effort, because they have a grave need for international help. It was the least we could have done with Japan’s fast offer of aid and personnel on February 22 itself. There is still a lot to do in Christchurch, especially for those families here and overseas rebuilding their lives after losing loved ones. However, I had a glimmer of hope from running our ﬁrst positive piece from post-’quake Christchurch on Lucire. Kip Brook of Word of Mouth Media wrote a lovely piece about a B&B, Hope Villa, in the Canterbury region, as Christchurch begins reaching out and people begin returning. I hope this will be the ﬁrst of many positive articles to emerge from the region as it gets back on its feet, as we know it can. While I haven’t heard of any plans to commemorate the ’quake with a moment’s silence tomorrow, I intend to have a wee break at the ofﬁce at 12.51 p.m. I hope many of us will take the time to remember the events of the 22nd, and remind ourselves of the solidarity we have with all Cantabrians.